Aside from educating the younger generation about Honesty, Accountability, Good Governance, Integrity and Transparency (HAGIT), it is also our objective to give tribute to those who stood up and fought for the HAGIT principles. Dear readers, we would like to introduce our third HAGIT Hero, the late Ensign Philip Pestaño. 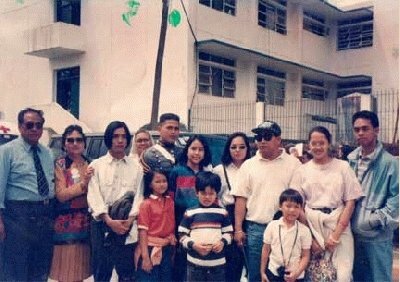 Phillip was born on Jan. 1, 1972 in Madaue City to parents Felipe and Evelyn Pestaño. He finished elementary at the Sacred Heart School for Boys in Cebu City. When the Pestaño family relocated to Manila, Phillip transferred to Ateneo de Manila University, where he finished high school. 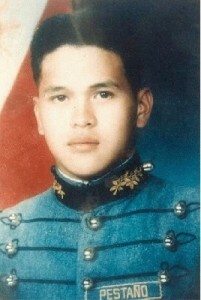 He later joined the Philippine Military Academy.and graduated as an Ensign in the Philippine Navy in 1993. He was assigned as cargo master on board the BRP Bacolod City where he died on September 27, 1995. 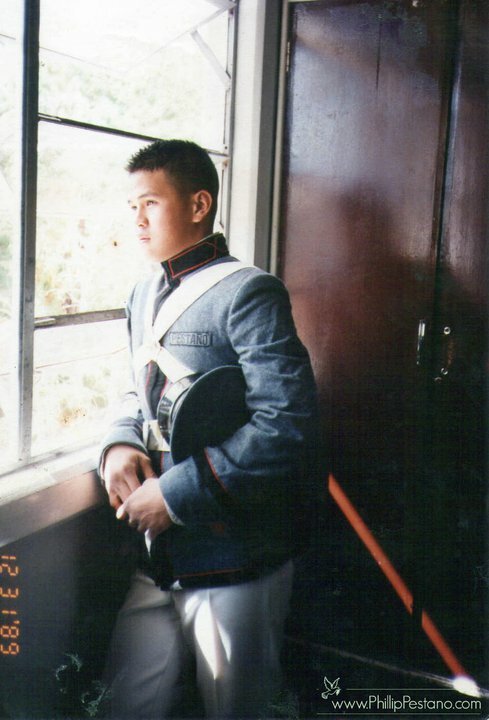 Phillip Pestaño, 23, was shot and killed on Sept. 27, 1995. Before he was killed, he received a message from his classmates saying they feared something might happen to him inside BRP Bacolod. He told his father Felipe that he discovered anomalies committed inside BRP Bacolod such as the transport of illegal drugs, logs and illegal firearms. Felipe agreed to fetch his son upon the arrival of BRP Bacolod in the Navy headquarters on Roxas Blvd. 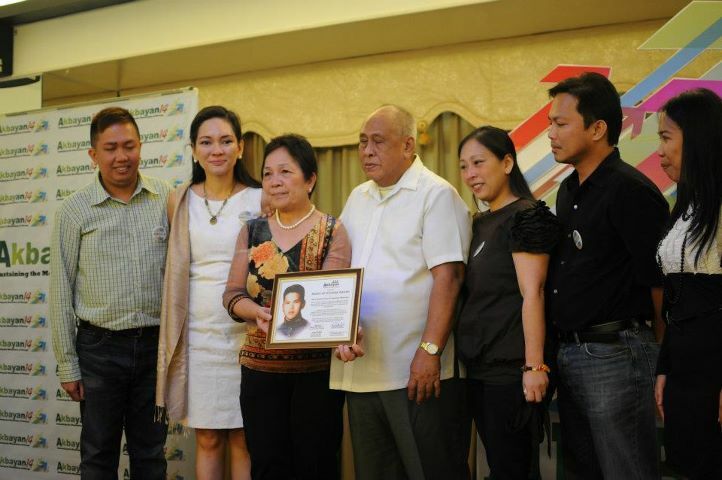 in Manila, but Phillip was killed outside his room while the vessel was sailing from Cavite to Manila. “He was about to get his files on his exposes but he was killed outside the room and was transferred inside the room. In short, there was a lot of cover up on his death including the misleading story of suicide,” said Philip’s father Felipe. The Navy investigators determined that Pestaño had committed suicide because a “suicide note” was found in his cabin despite evidence that the note was not in Pestaño’s handwriting. As an honor student at Ateneo engaged to be married to the love of his life in a few months, Pestaño also had no reason take his life. After two years of persistent prodding by Pestaño’s family, the Philippine Senate conducted an investigation of Pestaño’s death in 1997. Witnesses at the Senate hearing testified that before he died, Pestaño refused to authorize the loading of 14,000 board feet of illegal hardwood logs in Tawi-Tawi even though its governor, Gerry Matba, had a gift for his good friend, Admiral Pio Carranza. Over Pestaño’s objections, the illegal logs were loaded in Tawi-Tawi and off-loaded in Cavite just before the ship sailed for its home port in Manila following an “unusual dogleg route” that lasted longer than usual. “An unexplained delay of about one hour and 15 minutes raises the presumption that the prolonged trip was occasioned by the time it took respondents to create the suicide scenario,” Ombudsman Morales said. Murder, concluded the Senate committee led by Sen. Marcelo Fernan. Pestaño was bludgeoned, shot and his body rigged to appear as a suicide. The Senate in 1997 then directed Ombudsman Aniano Desierto, to “identify the persons who participated in the deliberate attempt to make it appear that Pestaño killed himself.” Desierto ignored the Senate’s directions. After he was replaced by Merceditas Gutierrez, the Pestaño investigation met with the same, if not greater, indifference as Gutierrez refused to even meet with the parents of Pestaño. On March 23, 2010, United Nations High Commission on Human Rights (UNHCHR) declared that Ensign Phillip Pestano of the Philippine Navy was the victim of violence, notwithstanding the findings by government agencies—the Police, the Military, and the Department of Justice—under three Presidents, from Ramos to Estrada to Arroyo, that Pestano committed suicide. The UN also found that the Philippine government under Ramos, Estrada, and Arroyo were directly complicit in depriving Pestano of life and the right redress of the crime committed against him by blocking the investigation of the case, as well as the prosecution of the perpetrators and imposition of the appropriate penalties. The UN has given the Philippine government 180 days to comply with the directives of the communication, i.e. the investigation, prosecution, and punishment of the perpetrators. In 2009, the anti-graft body, then headed by Ombudsman Merceditas Gutierrez, dismissed the complaint, saying the evidence was circumstantial. The Pestaños filed a motion for reconsideration. On August 2, 2010, The Office of the Ombudsman has dismissed the case on the alleged murder of Philippine Navy Ensign Phillip Pestaño. In a May 17 joint resolution signed by Overall Deputy Ombudsman Orlando Casimiro, the Office of the Ombudsman dismissed the case against Navy Officers Capt. Ricardo Ordoñez, LCDR Reynaldo Lopez, HM2 Welmenio Aquino, LCDR Luidegar Casis, Lt. Alfrederick Alba, Lt. Joselito Colico, Lt. Ruben Roque, PO1 Carlito Amoroso and several other John Does. “As things stand, no evidence was presented to show that respondents planned to kill Phillip or that their overt acts or inaction facilitated the alleged plan to kill Phillip,” the resolution read. The family alleged the dismissal is “motivated by political revenge.” “For five years, we have been waiting for the Ombudsman to act on our son’s murder case, then barely a week after we joined the impeachment complaint, the case that they sat on was dismissed,” said Pestaño’s parents Evelyn and Felipe. “All we want is justice for our son. Namatay ang aming anak dahil nilabanan niya ang droga sa loob ng Navy. Sa pag -dismiss sa kaso, tila pinoprotektahan at kinakanlong ni Ombudsman Gutierrez ang mga higanteng naglalako ng droga sa ating lipunan,” Evelyn said. The alleged inaction on the Pestaño case was one of the grounds raised against Gutierrez during her impeachment in 2011. Gutierrez was also accused of alleged neglect of duty in failing to act on the criminal and administrative cases filed primarily against her former boss and President Gloria Macapagal-Arroyo and husband, Jose Miguel. On March 22, 2011, Ombudsman Merceditas Gutierrez was impeached by the House of Representatives for betrayal of public trust; in a historic vote of 212 “Yes”, 46 “No”, and four abstentions. Merceditas Gutierrez then submitted her resignation to President Benigno Aquino III in Malacanang Palace on April 29, 2011, days before she faced a trial in the Senate. On January 11, 2011, The new Ombudsman Conchita Carpio Morales reversed the decision that originally dismissed Pestaño’s death as one of suicide. A reinvestigation is rekindles the Pestaños family’s hopes of proving that the navyman did not kill himself (as an official Armed Forces of the Philippines report said) and was in fact murdered for exposing shady activities by some officers in the Navy. The following ten naval officers are being pinned for Petaños’ alleged murder. The cover-up of the murder of Pestano exacted other victims. Among them was Petty 0fficer (PO2) Zosimo Villanueva who was the officer who tipped Pestaño on the presence of illegal cargo on the ship, specifically about “the concealed bulk of illegal drugs (hidden) in the more than 20 sacks of rice cargoes aboard the ship.” A week after Pestaño’s murder, Villanueva was dispatched by his superiors on mission where he mysteriously “washed away in a sea mishap”. Also missing and presumed dead is Petty Officer (PO3) Fidel Tagaytay who was the duty officer on board Pestaño’s ship. When he was summoned to testify before the senate, he disappeared. His wife, Leonila, has been desperately searching for him, begging the authorities to investigate his disappearance. He is “absent without leave” is all the Navy brass will tell her.